If small cosmetic dental issues make you afraid to smile, cosmetic contouring may be right for you. This process, also called enameloplasty or tooth reshaping, can repair minor imperfections like slightly irregular teeth. 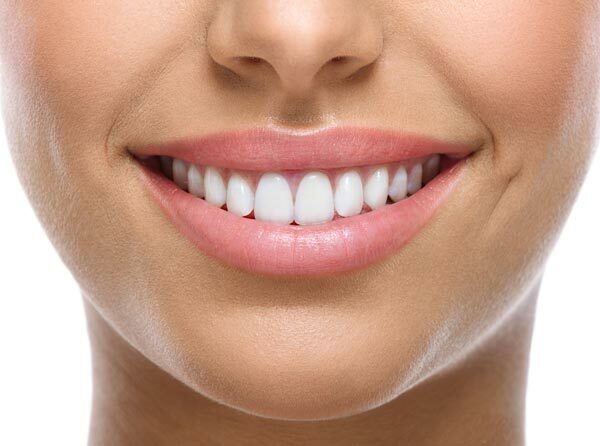 Here are four details you need to know about this cosmetic dental procedure. Enameloplasty is a reasonably simple technique. Your dentist will use tools such as drills or lasers to gently remove a portion of your teeth’s enamel to transform the shape or overall length. Once your teeth have been contoured to your dentist’s satisfaction, they will be polished to make them look as appealing as entirely possible. Once your teeth have been polished, you’ll be sent home to enjoy your new look. The principal advantage of cosmetic contouring is that it offers instant results. The whole procedure typically takes less than a half hour, so you’ll only need one brief scheduled appointment with your dentist to get the results you want. And there are no nerves in your enamel, so there is no need to worry about irritation. This makes cosmetic contouring a desirable option for people who are concerned about dental visits or worried about the discomfort associated with getting an ideal smile. Another advantage of this treatment is that it’s permanent. Enamel doesn’t grow back, so as soon as your teeth have been reshaped to your satisfaction, you won’t need to worry about getting the procedure repeated in the future. The main downside of this particular procedure is that it can only be used to repair minor cosmetic problems, like teeth that are somewhat misshapen or slightly too long. This is due to the fact that the mean thickness of permanent tooth enamel is only 2.58 millimeters, as published by The Journal of Microscopy Research Technique. Some of this enamel needs to stay in place to protect your teeth, so your dentist is restricted in the amount of tooth structure he or she can remove. If your teeth are uneven or significantly misshapen, this technique may not be enough to create noticeable end results. Given that your enamel will be thin after this procedure, you’ll have to be a lot more careful about protecting your remaining enamel from abrasive forces. If your enamel becomes worn away, you may experience painful complications like tooth sensitivity. To keep your enamel safe, your dentist may recommend switching to an extra-soft-bristled tooth brush. Don’t forget to be delicate while brushing to avoid harming your remaining enamel. This treatment is ideal for people with minor cosmetic dental issues. If you’re for the most part satisfied with your smile but just wish your teeth were a tad shorter or a little more even in size, this procedure may be the perfect fit for you. On the other hand, if your teeth are considerably crooked, crowded or misshapen, your dentist may suggest procedures that will give you more dramatic results. More significant cosmetic problems could be repaired with braces, veneers, bonding and other methods. Your dentist can help you choose the procedure that is right for your teeth.